Entrance is through the garage around the back side of the building, by the alley, between the Readers Cafe and LIBY! There is limited indoor parking about 10 spaces. There is a metered lot right beside us (Behind Lester Sells), or street parking in front and some on the side streets behind us- please don't park in the lots behind us. Welcome! We approach yoga with a open heart and mind. We are excited to share our passion of yoga with you. ​Take a moment to check our website to find prices, classes, schedule, Healing Therapies such as massage and sound healing, what to expect and more! Are you a beginner? Click here to see the Beginners page. If classes are running there will not be a receptionist in the studio! Make scheduling your classes easy by downloading the MindBody App to your mobile device! 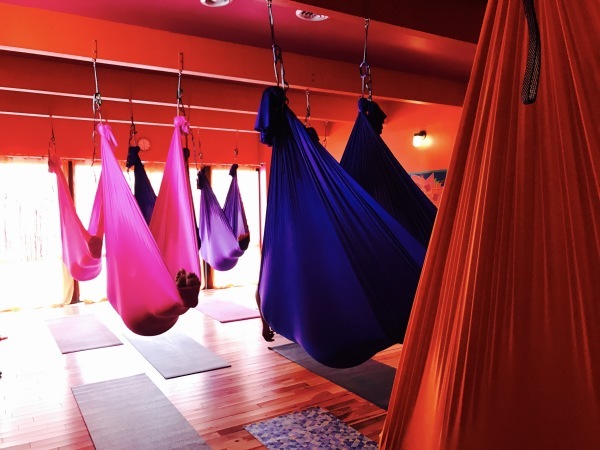 Arlene Thayler — Life in Balance Yoga...I cannot say enough good things about this yoga studio. Misty and the teachers have not only created a place to practice yoga in a safe, non judgemental environment, but a warm and caring community. The teachers are professional yet kind. Everyone is welcome of all shapes, sizes and ages. There truly is something for everyone at Life in Balance Yoga. Mark Peck—Love the creativity that Misty and the other instructors demonstrate each class at Life in Balance! As a crossfit athlete I must say that the classes here are a great addition to any lifting or sports program. Definitely the most fun way I've found to work mobility! 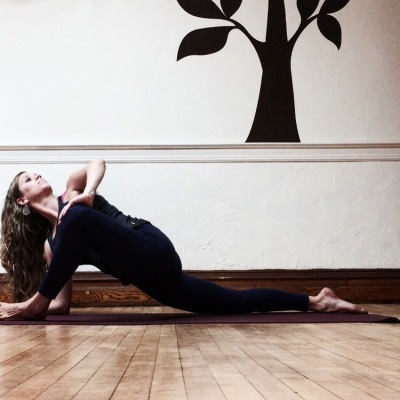 Katie Langenfeld — Currently attending the prenatal yoga class and look forward to going every week! Instructors are wonderful and extremely helpful. So glad that yoga is a part of my pregnancy! Definitely recommend! Jen Lipski — I'm in love with this place! The instructors are wonderful and there is no judgment. I feel amazing when I leave! So relaxed and content. Thank you for all that you do! Autumn O'Brien McIlvain — Attended my first class tonight...it was awesome! Looking forward to this new adventure. Thank you Misty! Paul Miller — Outstanding introduction to Yoga for someone looking for a balance of body, mind, and spirit! Raine Valentine— Such a peaceful atmosphere. My first time there was for the yoga and painting event. The yoga really helped loosen me up both physically and mentally! Transitioning between yoga and painting we had a nice spread of refreshments and light conversation and socializing, networking and making new friends. Artist Traci Kelly was such a wonderful teacher, she was patient and friendly, and really explained the process to every guest to help them make their own masterpiece! namaste ladies! Sheila Donaldson Powell — I have always loved yoga. My husband encouraged me to practice in a community, and purchased me a gift certificate. Only then my true journey began. Since I have walked thru the door at Life In Balance, Misty and all the teachers truly inspired me and help me discover things about my journey and to embrace them. Yoga has taught me to quite my mind, listen and open my heart, keep pushing thru what I call limitations, because they're no limitations, just believing and accepting yourself and others. I have also learned many tools of spiritual growth, wellness and nutrition from Brandy, who Iam very thankful for, her nurturing personality and expertise has brought my wellness to the next level! !